How do you think we build a future? I think we build it by investing in our kids and investing in education. 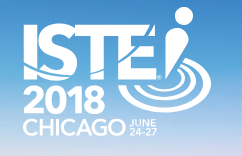 Everyone has now returned from the beautiful chaos that is ISTE. I’ve been to ISTE several times now, and it still feels just as massive as the first time. However, this year was different in one big way. How was it different you ask? No, it wasn’t a product or app that I saw, it wasn’t a vendor party, and it wasn’t a particular presenter (way too many great ones to list anyway). I just kept thinking, “Every person that attends ISTE should get to attend this way.”. I know many do, but I also know many that wish they could. That’s not to say attending solo cannot be impactful; just want to make sure that’s clear. And yes, many have a tribe of people that they only see at ISTE each year that they’ve become connected to through Twitter, blogging, and other connected means. Those connections are important too and a huge part of who I am. I love getting to see so many amazing friends that live all over the world…it’s the nicest feeling ever! However, if you work for a school or a district and you have the means to take a group, please do it. Take your district leaders, school leaders, and certainly your teachers. As many as you can take. Plan now for 2018. It’s worth the investment I promise. This post is a guest post for McGraw-Hill and is also posted here. 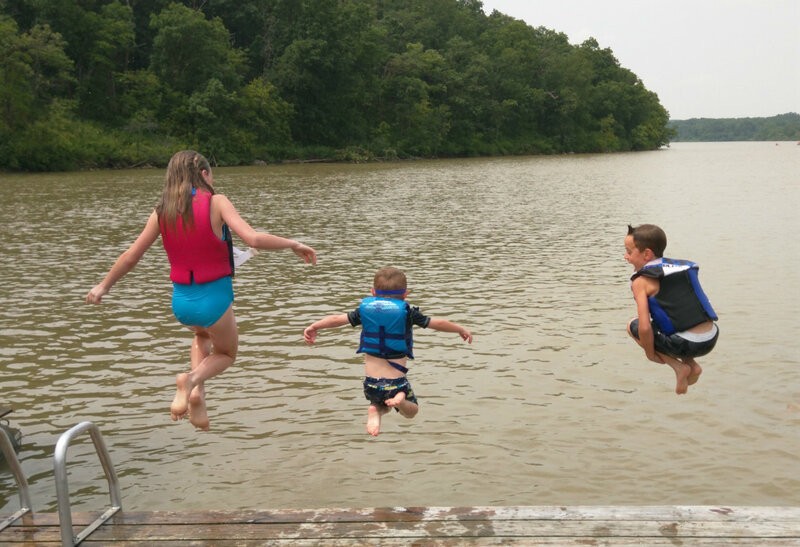 Summer is a great time for many things: family vacation, 4th of July, BBQs, swimming at the pool, and generally recharging. It’s also a time that educators can give adequate time to new learning opportunities. It might mean attending a conference or workshop, working towards a graduate degree, or getting a special certification. Regardless of the reason why we know the time is valuable and can be used to become better for our students. Twitter. I’ve been on Twitter for nearly 9 years and it continues to be my most valuable resource. You’ll find me sharing blog posts, resources, and tech tips there. What’s even better are the brilliant people it can keep you connected to; someone you have seen present at a conference, an author, or a fellow teacher you share a common content area with. Don’t forget about the hashtags! Hashtags are keywords you can search around to find great people to connect with and get resources from. Even if you don’t have a Twitter account you can always go to search.twitter.com and type in any hashtag to see what’s being discussed and shared. If you want to follow along with one of the biggest edtech conferences in the world, be sure to follow the #ISTE17 hashtag over the next month. This is just one example of so many. You’ll find lots of great chats happening on Twitter as well. These are regularly scheduled discussions that happen on the same day and at the same time usually on a weekly basis. Our district is even having our own chats during the summer using our district PD hashtag – #GVEaglePD. Twitter is definitely one of those things that follow the rule of “you get out of it what you put into it”. If you create an account, be sure to add a profile image, fill out your bio (we want to know about you!) and spend some time with it and give it a good chance! Google+ Communities. Maybe you want some online PD that doesn’t limit you to 140 characters and gives you more of the social media experience maybe you’re used to (think Facebook)? I would look at joining some Google+ communities. There are loads of education related topics that have communities. Find the one you like, click Join, and you’re off and running. In each community, you’ll see posts labeled with various categories, and there will be comments on various posts along with links, videos, and images. 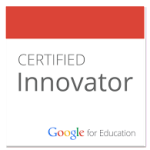 If you want a Google+ community on Google in Education, you’ve got one. If you want to learn more about project based learning, you’ll find it there. A tip: when you set up your profile on Google+ make sure you list your school district, what you teach, etc. because you’ll see more education related communities recommended to you when you click the Communities tab on the left side of the page. You can always, of course, just use the search box at the top of the page too. Blogs and blogging. Sometimes, the best professional learning is just getting to do some reading and reflecting on your own. Many teachers enjoy following various educational news sites; many of which have regular writers that are currently practicing teachers and administrators. These can be organizations like (but certainly not limited to) Edutopia, EdSurge, ASCD, Education Week. and THE Journal or individual bloggers like (again not limited to) Katie Martin, Matt Miller, Shelly Terrell, and Doug Johnson. YouTube. Ah, the power of video. I always enjoy finding examples of and sharing the power that video can have in education. We are hard pressed to not find an instructional video on a particular topic. Now I know all of those videos are not instructional in a positive way, however, our students need us to be good models of effective use of YouTube. There’s too much great stuff there not to! There are great channels like (but of course not limited to) FriedTechnology, Tara Martin, Veritasium, Minute Earth, and Crash Course. We can then of course jump into teachers using summer time to get comfortable with creating their own video content for their students too! Are there more options than the 4 mentioned here? Yep definitely. Please share other suggestions in the comments and add more hashtags, communities, blogs, and channels there too. We’re better together, right? Enjoy your summer! Another school year has ended (for some) or is getting close to ending. At the end of every school year, there is always a finality for certain students and staff. Seniors are graduating, teachers are retiring or changing to another district, or just leaving the profession for various reasons. 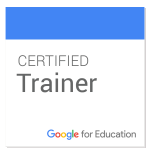 Either way, if you’re district uses G Suite for Education, people are going to have files in Google Drive, emails in Gmail, blogs using Blogger, etc. that they want to make sure and take with them. Nobody wants to lose important stuff! 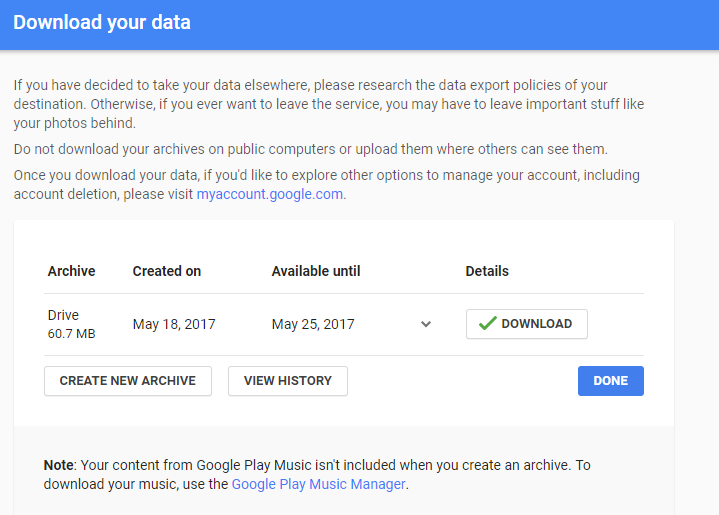 Google Takeout is a handy way to save any or all parts of your Google account to take to a new school Google account or move to a personal Google account. For this post, I’m going to walk through the steps with Google Drive as the example. 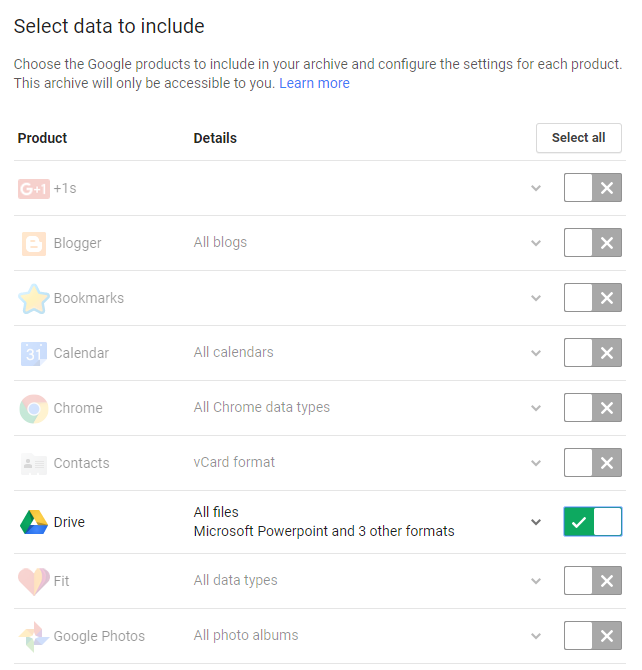 When you arrive at the Google Takeout homepage, you will see listed all of the Google products you can download your data from. In the screenshot below, I’ve only selected Google Drive. In certain situations, I have suggested to teachers that everything they want to be sure and keep (sometimes they’re only concerned about keeping very specific files) should be moved to a new folder (maybe call it Takeout) and then only select that particular folder once they begin the Takeout process. The last step will give you some options for the type of archive file and its size. I would recommend leaving this set to a zip file with a maximum size of 2 gigabytes. 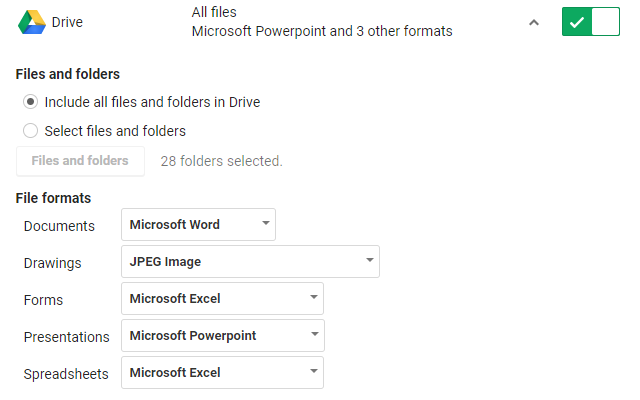 Note: If your Google Drive files are over the max file size, they will automatically be separated out into multiple zip files so don’t fret if this happens. You can then choose how you want to receive your archive. I left mine set to “send download link via email”. 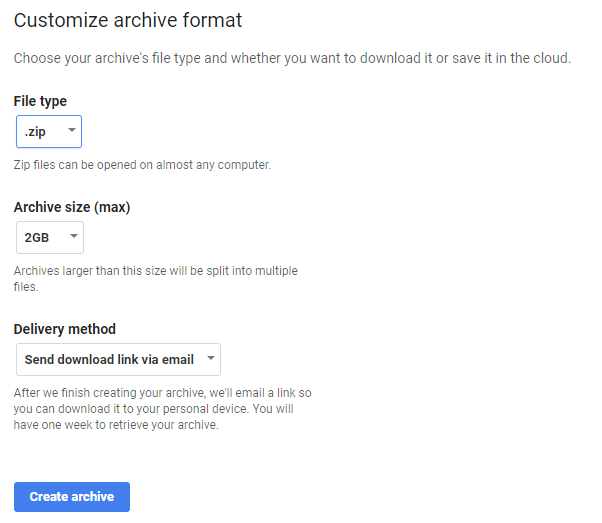 Leave the zip files as is and keep them saved to a computer, flash drive, or store them in Google Drive in another Google account. Unzip (extract) the files to be able to open them and edit them. Once the files are unzipped they can then easily be uploaded into Drive in another Google account (school or personal). Either way, you’ve now successfully saved an archive of your Drive or any other G Suite apps! Enjoy your Takeout and have a great summer! 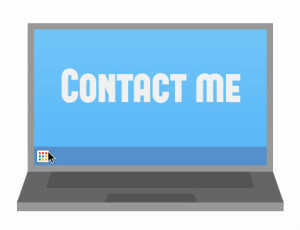 If you want to get my blog posts in your inbox that would be awesome!